Grand Cayman is sophisticated, polished and safe - in every sense of the word - with classy hotels, top restaurants and dreamy Seven Mile Beach. 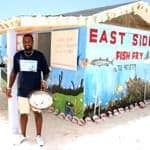 There's also plenty to explore with pristine reefs, stingray encounters, submarine trips, botanical parks and island-hopping excursions to Cayman Brac or Little Cayman. Perfect with or without the kids. Take pristine beaches, add a twist of adventure, blend in a generous dose of natural beauty and you have the Caribbean paradise that is the Cayman Islands. 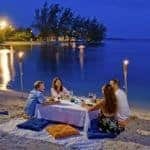 Whether you are looking for an idyllic romantic escape, action-packed trip or unforgettable family break – a holiday in the Cayman Islands will fulfil your every wish. Stroll barefoot along the powdery white sands of the Seven Mile Beach in Grand Cayman. Cool off with a relaxing dip in the crystal-clear waters, then gaze at the sunset over cocktails at a vibrant beach bar. For the adventurous, world-class scuba diving, snorkelling and kayaking opportunities await around the reefs and coves of these stunning tropical islands. At the famous Stingray City, feed and watch the awe-inspiring creatures as they glide elegantly past. Inland, look out for the red-flecked Cayman Parrot while trekking through lush mangrove forests. Or take in the kaleidoscope of floral colour on a serene stroll through the Queen Elizabeth II Botanic Park. Fantastic duty-free shopping means you can enjoy retail therapy without the guilt. Head to Grand Cayman’s capital, Georgetown, or hit the luxury boutiques of Camana Bay. When you have worked up an appetite, dine at a choice of over 150 eateries – from laid-back cafés to lavish restaurants. Offering four weekly flights from London Heathrow to Owen Roberts International Airport, British Airways can make your dream Cayman Islands escape a reality. Our carefully selected range of Grand Cayman hotels includes options for every taste and budget. 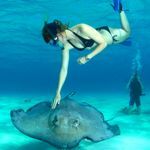 Find out more about our holidays in the Cayman Islands.